Nepal has a definite location, extension, and inclination. It also has various bulges and recordings along its border. Though you cannot draw in exact scales of every portion, you must be careful about the relative size and their position. Follow the following steps to draw an outline map of your country. you can accomplish after several practices. Now you have AB = 6 cm, AD = 10 cm,DG = 2 cm, AM = 2 cm, BO = 2 cm, ER = 3 cm, RG = 3 cm. The exact details of the outline are not important, but you should practice drawing the outline several times, first looking at the map above, and then from memory. Add the scale. If you do the map twice as big than 1 cm = 40 km. Nepal has definite location, extension and inclination. It also has various bulges and recordings along its border. A map is the representation of whole or some parts of the earth or any other parts, or objects found in any body of universe on a flat sheet of paper with appropriate scale and color (so that each of the point in the map can show the real difference in location of any objects). There is no field of study where there is no use for a map. Map expresses a lot of spatial information through graphics that is easy to extract and understand. It’s relationship in combination with social attributes. Moreover, it helps to understand the problems and prospects of an area in terms of resources, infrastructures, etc. maps present multiple layers of information simultaneously; so we can compare different variables quickly. That is why it is said that picture is worth thousand words. 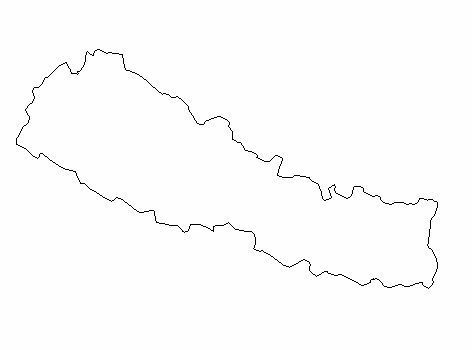 how to draw map of nepal? what kind of scale is called verbal scale. What is the exact distance in real ground denoted by RF 1,10,00,000 in a map? why should we learn to draw map of nepal? how can we make map of Nepal easily ? Any Questions on 'Map of Nepal '?